Can we actually believe that Fenty Beauty launched a year ago? If you are familiar with posts you would know that I loved almost everything I’ve tried from them (you can see all the reviews here). Rihanna does really know what she’s doing. Anyway, September 7th was their anniversary and they launched two new products to celebrate: an highlighter and a lip gloss. She actually also launched a new brush but we are not going to talk about it because it’s just a brush, looks nice though. 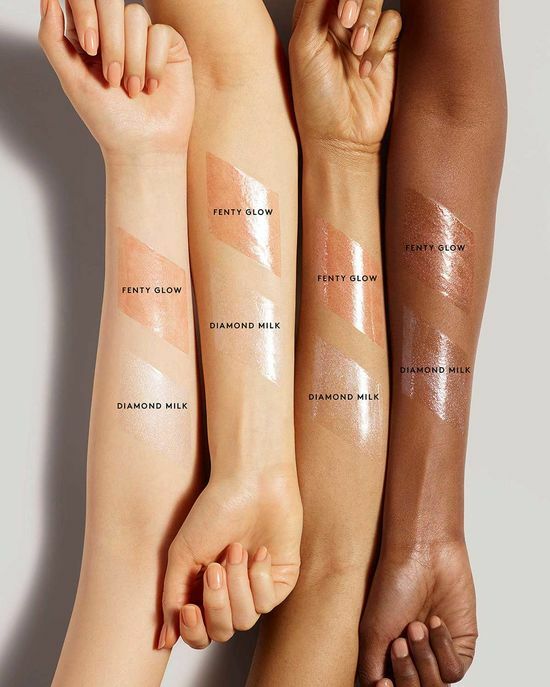 Both Julia and I have tried a Fenty highlighter and we both have (and love) the gloss in the other shade so we were both super thrilled to see this collection. Mimi: This is so pretty. I’m itching to see it in store, the packaging is to die for. Guarantee I don’t need any other highlighter but I’m might have to get it because it’s so up my alley. It gives me butterflies (that’s true love), I just have to see it in store. Julia: I like this all white collection, it’s so pretty, I’m not sure how it will look on but I like it. 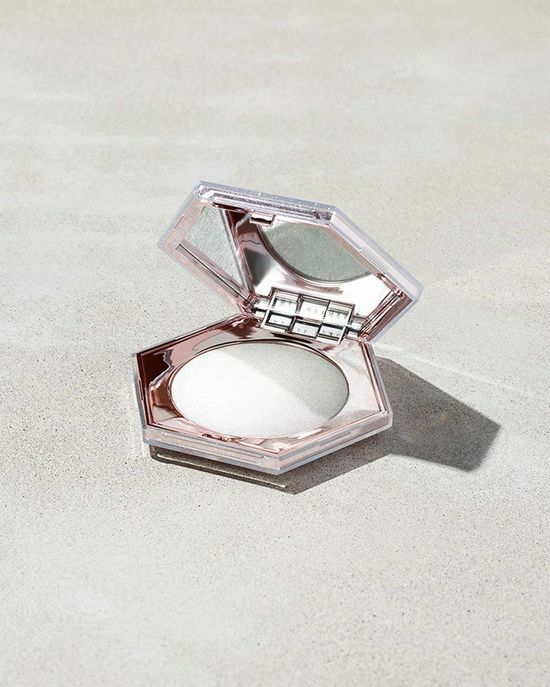 Mimi: It looks pretty, but it kind of reminds me of the glosses I used to wear when I was a kid so I’m not sure but again we will see it in store. Julia: I like the white but it probably be bad on the lips, showing all the lines. Ooooh love these. i think I am going to look into so for fall! I can’t to get the lip glosss!! 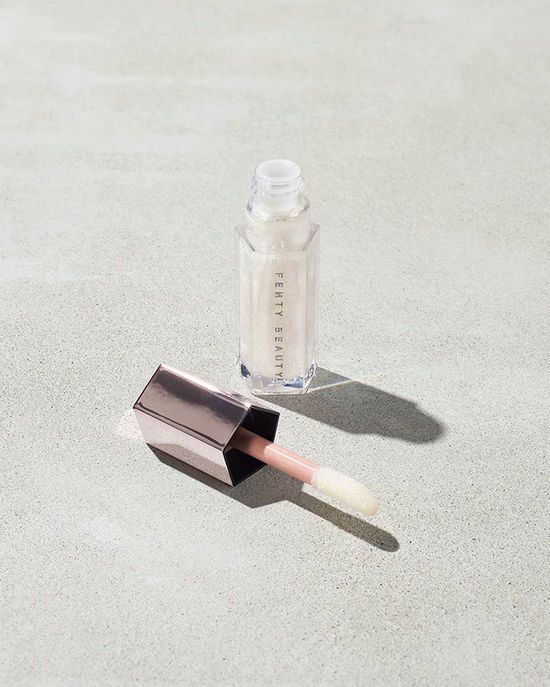 I love my Fenty highlighter so the gloss would definitely be worth a try! I love the packaging for these products!! 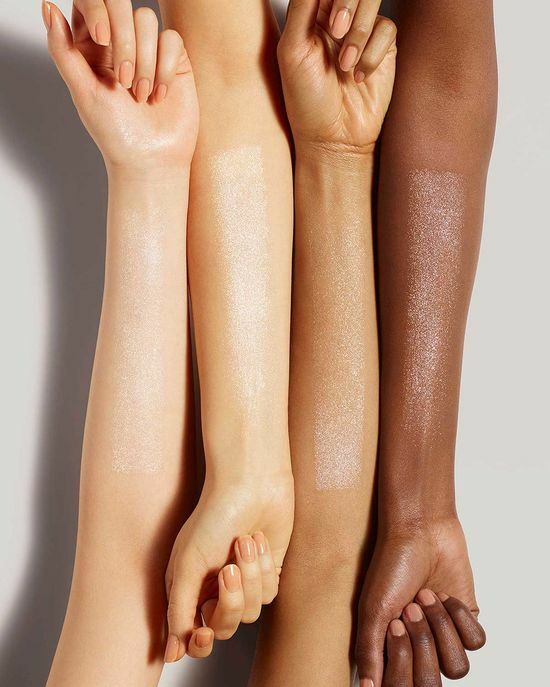 La foto della collezione è molto bella (commento da professionista del settore), ma non comprerei i singoli prodotti una volta visti gli swatches. Non vedo niente di particolare…solo io? That highlighter looks incredible. I love the subtle shimmer; it makes your skin glow!